The lock was perfect for us. Right inside the old city, no need to drive anywhere, walking to all the sights! It was just fabulous! Very caring and knowledge host who made our stay exceed our expectations. Amazing location, couldn't have been better. Very nice and helpful host. The location was very good; Everything we wanted to see was near. 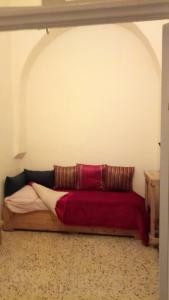 The apartment is 200m from Jaffa Gate. After 6pm you can draw up near the building, which is very comfortable. There is a car park, open 24h, 5min walking from our location. Our host Shlomo was very welcoming and nice. He was waiting for us with keys and umbrellas, because it was raining :). Very helpful even when we left Jerusalem. The apratment in armenian quarter - the most peaceful one in Jerusalem. The apartment on the ground floor of 200-year-old building was very cheerful. Everything!! The host was FANTASTIC!!! He kept in touch with us long before our arrival and made sure we knew how to get there and answered any other questions we had. He was very accommodating with our check in time. He was very friendly and we had a wonderful chat upon arrival. He walked us through the house to make sure we knew where everything was and that we had everything we needed. He was available every day in case we needed anything, and even checked in with us to make sure everything was good. After check out he let us keep our luggage there until we we ready to leave and he found us a ride to the airport with a very nice driver. The house was traditional of the area which is one reason we chose it, and very clean, with plenty of space. 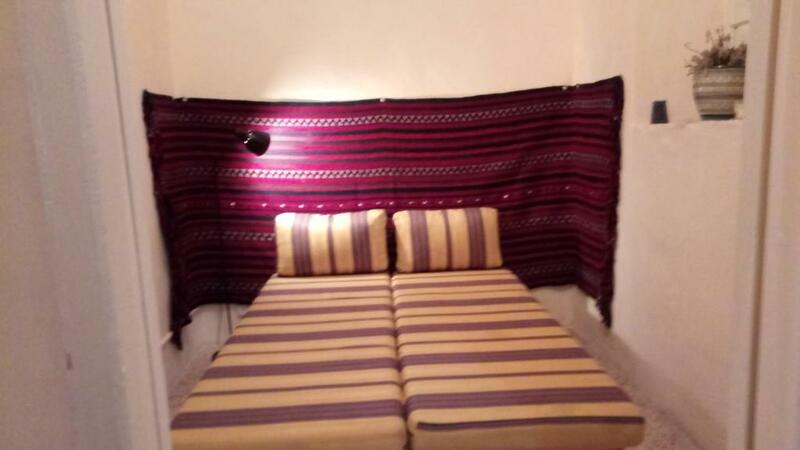 We would definitely stay there again and recommend it to everyone. All of the special places to visit were within easy walking distance, and we had good food and drinks around the corner. This is a two-bedroom apartment on the ground floor of an old house, with a kitchenette and beautiful vaulted sitting room. 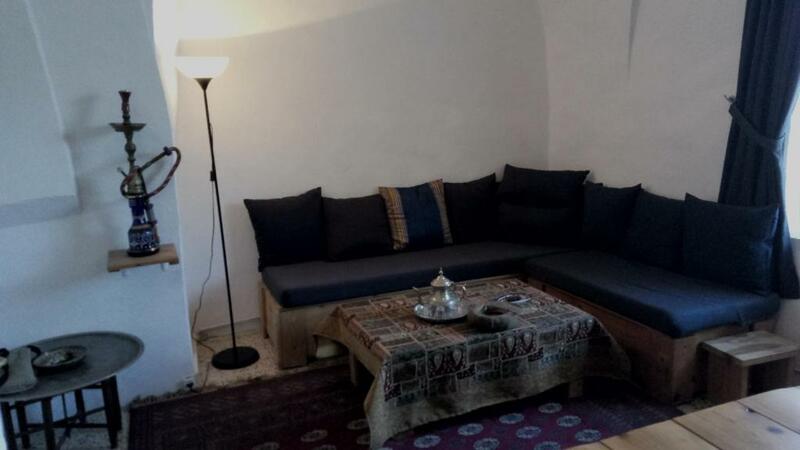 It is not big but clean and comfortable for 1-3 travellers who prefer the sense of genuine historic environment to the standards of modern hotels. 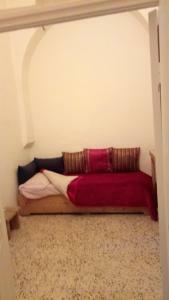 The house is located very close to Jaffa gate, just a 7-10 minutes walk to the Holy Sepulchre. The host is very friendly and helpful. Arriving late in the evening we had no problems with keys or anything else during our 4 days stay. hospitality and kindness are the words that perfectly describe what we have found. although far from the Italians we felt at home. The owner , Shlomo is the most appreciable , sensitive and available person you could imagine. We could share beautiful moment discussing with him and he gave us the most valuable tips to fully enjoy our stay. The apartment is just perfect , spacious (we were a group of 5 persons) and located between the Christian and Armenian neighborhoods , near to the Jaffa Gate in a lovely street with all commodities. Don't miss this place if you go to Jerusalem , you can't find anything better ! C'est un rez de chaussée situé près de la porte de Jaffa, dans la veille ville. C'est un appartement simple et authentique très proche des nombreux lieux saints. L'hôte est vraiment très accueillant et disponible. Несомненно, что это самое удобно расположенное жилье в Старом городе. Соломон - заботливый и приветливый хозяин, дал нам полезные советы и, как добрый товарищ, готовый прийти на помощь, все время был на связи. Спасибо, Соломон, за отзывчивость! 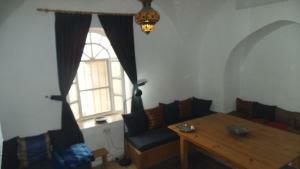 Lock in a great price for Old City Of Jerusalem – rated 9.2 by recent guests! One of our best sellers in Jerusalem! Old City Of Jerusalem is located in Jerusalem, a 14-minute walk from Western Wall, 1.1 miles from Dome of the Rock, as well as 2 miles from Church of All Nations. This apartment provides accommodations with free WiFi. 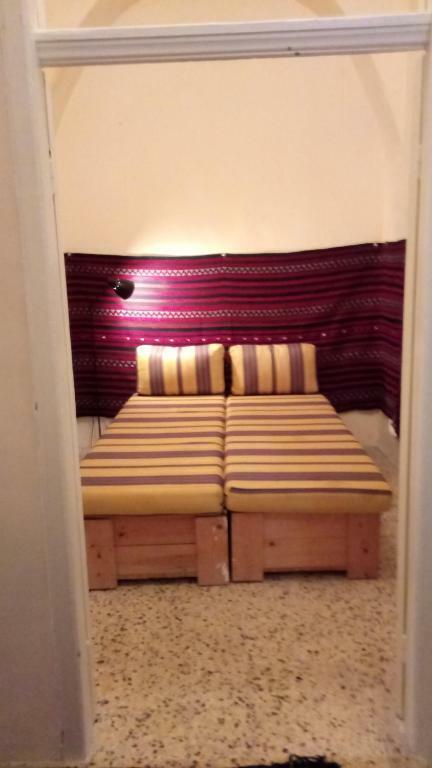 The 2-bedroom apartment has a kitchen with an oven, and a bathroom with a shower and a washing machine. Garden of Gethsemane is 2.1 miles from the apartment. The nearest airport is Ben Gurion Airport, 34 miles from the property. 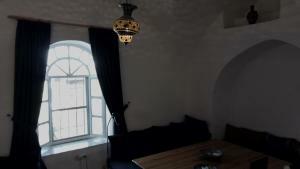 This is our guests' favorite part of Jerusalem, according to independent reviews. 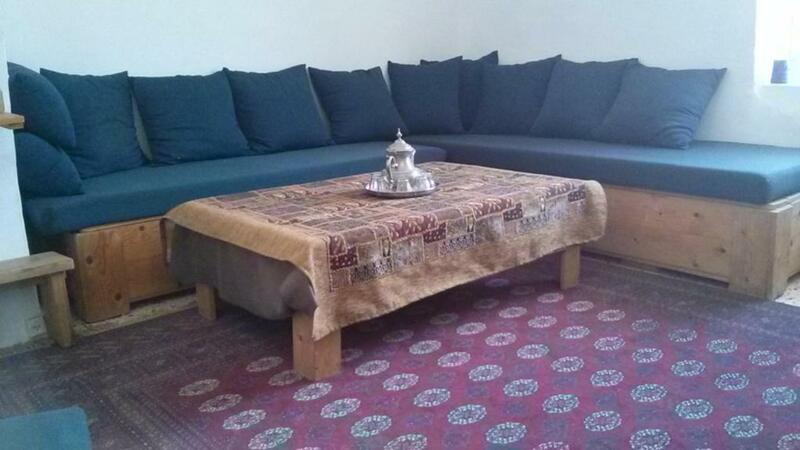 This property also has one of the top-rated locations in Jerusalem! Guests are happier about it compared to other properties in the area. This property is also rated for the best value in Jerusalem! Guests are getting more for their money when compared to other properties in this city. 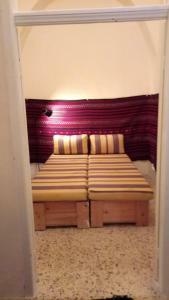 뀐 Located in the top-rated area in Jerusalem, this property has an excellent location score of 10.0! When would you like to stay at Old City Of Jerusalem? 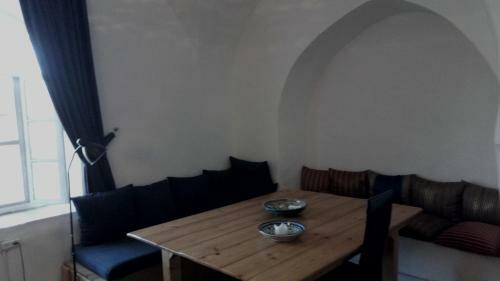 This apartment has a electric kettle, washing machine and seating area. I am living in Jerusalem since 28 years and I am still surprise by its beauty. I am a psychotherapist. I am married, father of two beautiful children, a boy and a girl. Jerusalem's ancient old town is sacred to three world religions. Taking center stage are the Western Wall, the Church of the Holy Sepulchre, and the Dome of the Rock. House Rules Old City Of Jerusalem takes special requests – add in the next step! Please inform Old City Of Jerusalem of your expected arrival time in advance. You can use the Special Requests box when booking, or contact the property directly using the contact details in your confirmation. Overall it was tired, with a little refurbishment it could be really fantastic. But overall good value for money.